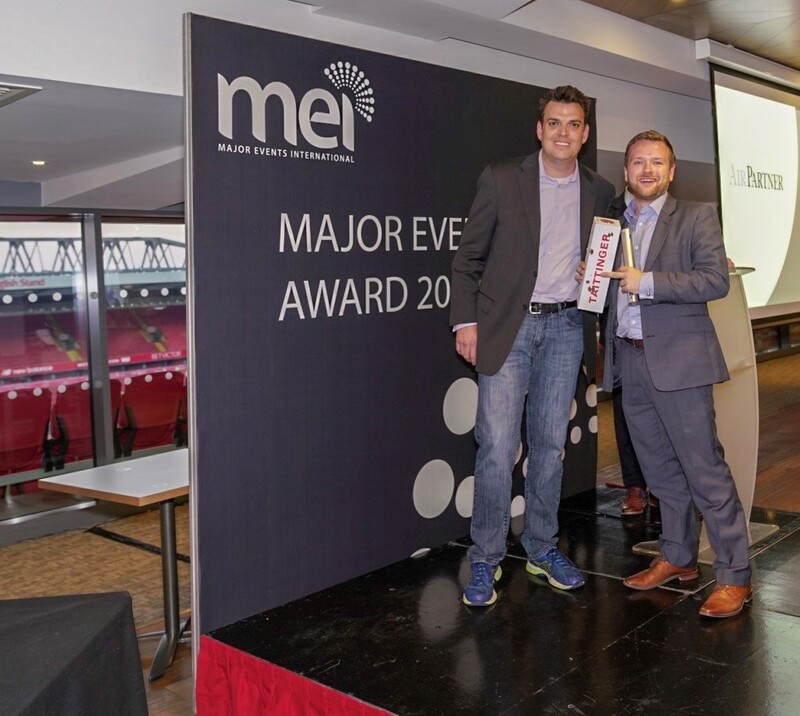 Major Events International (MEI) has named Air Partner, the global aviation services group, as the ‘Best Executive Travel Solutions Provider’, as part of its Major Events Summit that took place in Liverpool. Now in its fourth year, the Summit brings together experts from current and future organising committees, sports bodies, venue and key commercial suppliers involved in major sports events to knowledge share and collaborate. With an extensive experience chartering flights for major sporting events across its Commercial Jets, Private Jets and Freight divisions, Air Partners transport sportspeople, supporters and media and important equipment across the globe. “Every year, we honour a number of our members who actively engage with us, have a great international presence, and whom we are proud to support. Air Partner has been an extremely valued partner for over a year now, and I look forward to carrying on our relationship well into the future,” commented Dennis Mills, Chief Executive Officer at MEI. The group sees particularly strong demand for its services from the football industry and this year it has been called upon to operate 15 flights to Russia for the FIFA World Cup for players, supporters and corporate customers. In 2016, the team also flew nearly 10,000 passengers on a total of 62 flights to and from the UEFA European Championship in France. “Air Partner has worked with the sports industry for several decades now and has a deep understanding of its unique requirements, whether flying elite athletes or fulfilling time-critical lifts of equipment. I am delighted that we have been acknowledged by MEI in this way and would like to thank all my colleagues who work tirelessly to make the logistics for these major sporting events a success,” said Clive Chalmers, Director of Charter at Air Partner. Other highlights of recent years include flying the entire Hungarian Olympic team to Rio de Janeiro for the Olympic Games in 2016, and transporting important sports equipment, such as bikes and other kit, for cyclists taking part in the Giro d’Italia, Italy’s most prestigious bike race.